So, how did the Cambridge Analytica revelations impact Facebook use in the US? As these figures from Goldman Sachs show - essentially they didn't. That's what's so concerning about Facebook - even after the potential downsides of what it does are exposed, people still find it to valuable to stop using it. 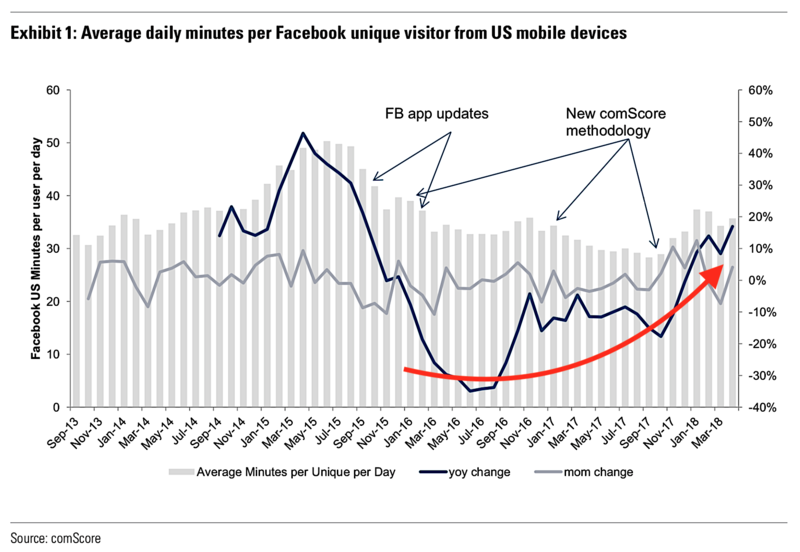 This graph makes me think we'll eventually see regulatory action against Facebook in many countries.